considering the stealth, ocean prowler or the ws ride 135. i like the ocean prowler price point, but standing is a must for me. Any ideas on if it is easy to do in the prowler? A Bad Day of Fishing is Still Better than a good day at work! My nephew works at Pack and Paddle in Lafayette. I will forward your message to him and let you know what he says. He demo's all kinds of yaks. He sent 2 replies back to me. I dont know much about any "Ocean Kayaks" other than pack and paddle decided to remove them from our lineup. They're pretty low caliber compared to WIlderness Systems, but i don't know about the stability of either O,K, models. The Ride 135 has been a best seller for us for a long time. The 2012 hull design is brand new for 2012. they raised the weight capacity from 400 to 550 lbs. and its kind of heavy, but its the most stable all the Sit on Top kayaks other than the Diablo Adios. Ive paddled them all and am a big fan of the ride 135 especially pre2012. but the new ones are great too. His name is Boh. He works at Pack and Paddle. YOu can call and ask him any questions you like. He can also find you some used kayaks if you want that. They have a bulletin board with yaks for sale by owners. 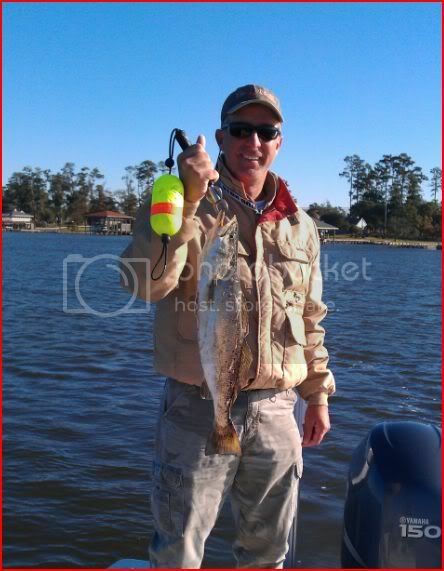 I've got a Heritage Redfish 12. Great for standing and sight casting but terrible for speed. If you're going less than a mile or two I would highly recommend it. I love mine. This will be my first weekend in my new nucanoe frontier kayak that I purchased from Ship to Shore in Lake Charles.I have never fished from a kayak before so I am sure it will be an experience. Speckkilla89, you'll appreciate that Prowler. It may not be as classy as the Cuda, and it's definitely not as stable as The Ride, but it's a FAST sit-on-top. Speed is addictive! Which is why I have a WS Tarpon as well as a Diablo. Different boats = different functions.